It's pretty easy... as soon as you arrive at the festival (Thursday or Friday, even), wander over to the Grandstand stage. The fella who runs the band contest will have set up a clipboard or mailbox or some sort of other obvious contraption that allows you to get yourself on the list for the contest. Get on that list, let him know your basic tech requirements, and when your name is called, get ready to rock (or folk, as the case may be). Winner gets a set at next year's festival, runners-up sometimes get stuff too. It's pretty casual; we don't take it tremendously seriously, and we recommend that you don't either. The list is first-come, first-serve, and once it's full, it's full. 2105 band contest winners, Busted Subaru, played a set on the Cabaret stage the following year. Fiddle, banjo, guitar, mandolin - Bring your instrument and play your best tune! 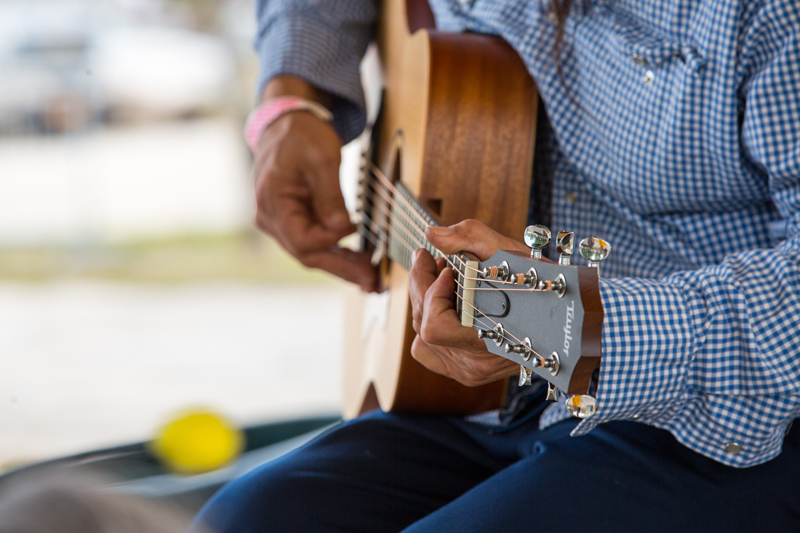 The instrument contest is a fun and exciting part of the festival where you can showcase your talent. Come compete to win your 15 minutes of fame, fiddlers’ convention style. Acoustic instruments only. Sign-ups start half an hour before the contests at the Grandstand Stage. Show up Friday, 9am at the Grandstand Stage.